Ken Griffey Sr. Chats With MANjr. One of the greatest memories I have with my dad is playing football outside in the backyard. He would throw me passes and I would run to go get them. Playing sports with my dad was such a fun experience. Now picture playing with your dad at the professional level. One duo can say they did that as they both played baseball in the Major Leagues. 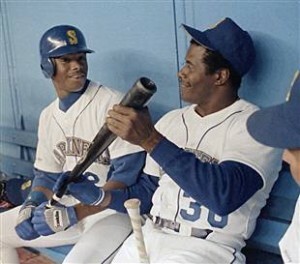 That duo is none other than Ken Griffey, Sr. and Ken Griffey, Jr. In 1990 they got to play together for the Seattle Mariners. They made history by becoming the first father and son combination to hit back to back home runs. 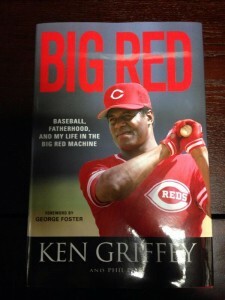 Ken Griffey Sr. recently had his book “Big Red: Baseball, Fatherhood, and My Life in the Big Red Machine” hit store shelves and is also available as an e-reader. This book is a great read no matter if you are a sports fan or not. His book chronicles him growing up, playing baseball, and the life lessons he learned along the way. 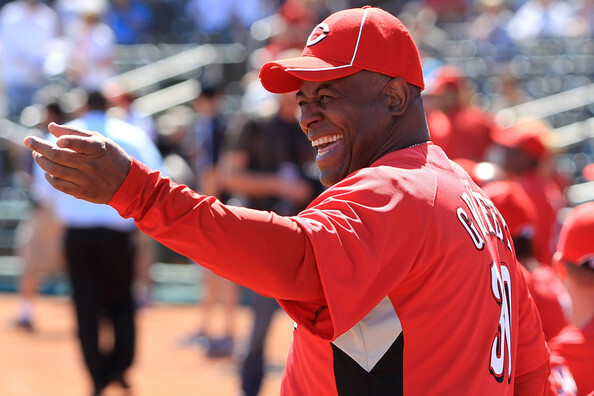 You get to hear the two time World Series champion’s take on baseball, fatherhood, and life. Art Eddy: Let’s talk about the book, “Big Red: Baseball, Fatherhood, and My Life in the Big Red Machine.” What inspired you to write this book? Ken Griffey, Sr.: I have been thinking about it for the last ten years when I got out of baseball. Knowing the fact that things for me and Junior was something different and something new, especially when we got a chance to play together and hit back to back home runs together. Plus all the things that happened to me during the Big Red Machine years and in New York made me decide to put all of that down on paper and see how it comes out. AE: What were some of the topics you wanted to make sure were in this book? KG: Well the topics for the Big Red Machine for one. Plus the topics with the Yankees. A lot of people really don’t understand why Junior wouldn’t play for the Yankees. That was one of the reasons that I put things in the book about that. Plus just a little bit of tidbits of stuff. 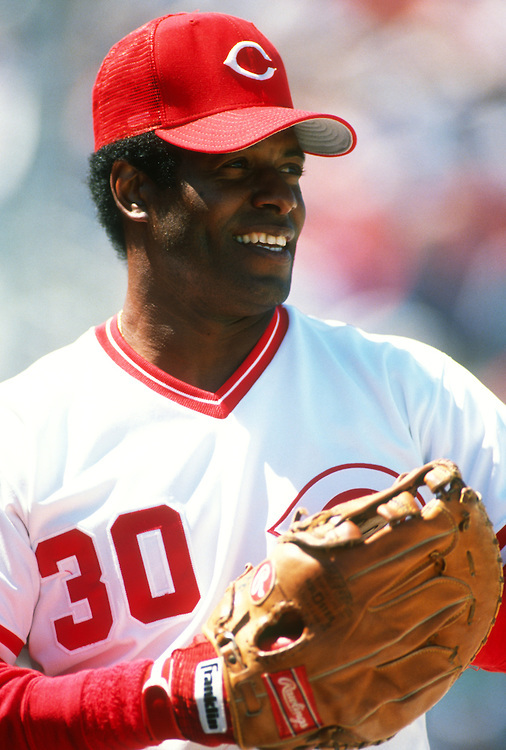 There was stuff about my relationship with George Foster and how well we got along the first year when he got sent down from the big leagues to Triple A. There were a lot things that were involved with that. I just hope people enjoy reading this book. AE: Your book is very interesting. I loved learning about your transition from high school to possibly going to college or going to work to help out your family. With all the different ways your life could have gone it looks like things worked out just right for you? KG: Well it did. It was a strange scenario. I had the opportunity to go to a few colleges on a football scholarship. A couple of them were basketball scholarships, but not many baseball scholarships. We didn’t play that much baseball in terms of high school ball in Pennsylvania because of the weather. So it was a situation where I had to make up my mind to help the family. My mother raised five boys and one girl by herself. It was a burden on her. It was tough. So I had the opportunity to do that. I decided to make money as soon as possible to help her out as much as possible. Even though I couldn’t do that much with 500 dollars a month, but I figured out if I worked hard enough eventually I would be able to help her. AE: Switching to baseball. You have so many great moments that happened in your career. You won the World Series twice, won the MVP award for the All-Star Game, and played with your son. Is there a moment that tops the rest? KG: There are a few moments really. One that stood out more than others was getting the opportunity to play with Junior. We went on the field together on August 31st in 1990. The scenario as tough for me to get there to Seattle after I retired and looked at the whole thing. Bill White called to tell me to sit still and don’t move. The thing is if you retire you have to wait 60 days before you can be reinstated. The biggest issue with that this was at the end of August. We only had 31 days before the season was over. Tim McCarver had mentioned this on television. He said that would be a story and a half if he had the chance to go play with his son. That’s when he mentioned I had to wait 60 days. Bill White called about an hour later and told me that he would let me know what happens. He called me back. He said call Marge Schott and thank her. You are on your way to Seattle. Getting the opportunity to play with Junior was the highlight of my career. AE: I love watching the replay of you and your son hit back to back home runs back in game in 1990. Take me back to that moment and tell me what you remember from that game? KG: I remember Harold (Reynolds) being on first base. I hit a home run to left-center field. So I am rounding third heading home. The first one that is going to meet me is (Junior). Looking into his eyes I see a difference in him. It was a transition. I knew his concentration level was sky high. After he gave me a high five he got in the batter’s box. It was an amazing night for both of us. When he got to home plate he was looking for me the whole time. He was grinning from ear to ear. That was such a fun time when he was just grinning at me. He gave me a big hug. I was like oh my God, he did it. All the pressure was on him. He was a stud. He was the man. AE: That was such a great moment. To hear it from you is amazing. For you was there a team or player that would get you more pumped to play against? KG: I used to get pumped up against every team. It didn’t make a difference. It didn’t matter the team or the player. It was just the idea of getting the chance to play baseball and being competitive. That was most important to me. It didn’t matter. I was very competitive. I didn’t care who I was playing against. Even though I might do research on certain pitchers, like a Tom Seaver or a Steve Carlton it still didn’t matter. I was just thrilled to be able to play. AE: Are you a fan of instant replay being added to the game? KG: Well, I am still old school I guess. I like the idea of where there is a mistake made by the umpire of a safe or an out call or something of that nature. Let it stick. The game is human. When you start adding instant replays and all that stuff it makes it a bit more mechanical and longer. Now you have to stop the game and decide what is going on. Is it fair or foul and all of that. Years ago they would tell us that we need to speed up the game because it was too slow. In the Minor Leagues it is funny because they tell you that you can’t get out of the box unless you break the bat or it slips out of your hands. You can’t get out of the box to get more pine tar so it is a little strange. Donald Driver Talks With MANjr. Print article This entry was posted by Art Eddy III on May 12, 2014 at 6:48 am, and is filed under Sports. Follow any responses to this post through RSS 2.0. Both comments and pings are currently closed.